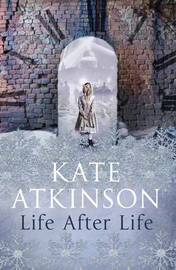 Life After Life by Kate Atkinson - on Monday it finally appeared on the 'in cataloguing' list so I immediately placed a hold but never expected I would have it so quickly. Really excited about this one.....and after that there was no holding back. Lost Voices by Christopher Koch - Young Hugh Dixon believes he can save his father from ruin if he asks his estranged - great-uncle - a wealthy lawyer who lives alone in a Tasmanian farmhouse - for help. As he is drawn into Walter's rarefied world, Hugh discovers that both his uncle and the farmhouse are links to a notorious episode in the mid 19th century. The author is a twice time winner of the Miles Franklin Award so I'm expecting good things from this novel - and it is Australian Literature Month in April. 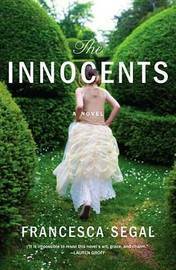 The Innocents by Francesca Segal - Adam and Rachel are getting married at last. Childhood sweethearts whose lives and families have been entwined for years; theirs is set to be the wedding of the year. But then Rachel's cousin Ellie returns. I had this on hold before it was longlisted for the Woman's Prize - now I have it I'm not sure I even want to read it. I knew it had links to The Age of Innocence but didn't realise it was an actual retelling which, as I don't care for any sort of spinoff, doesn't sit too well with me. 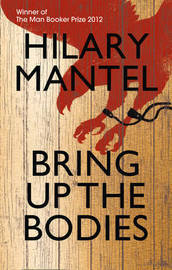 Bring Up the Bodies by Hilary Mantel - the sequel to Wolf Hall continues the story of Thomas Cromwell. Sooner or later I knew I would read this but hadn't been in any hurry. Was very surprised to see it sitting on the shelf and thought I might as well bring it home. The Burial by Courtney Collins - It is 1921. In a mountain-locked valley , amid squalls of driving rain, Jessie is on the run. 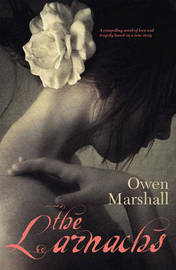 An Australian debut novel which has made the shortlist for the Stella Prize. 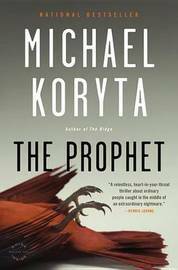 The Prophet by Michael Koryta - It's a two second decision: wait for your little sister or leave with your girlfriend. Adam Austin chose to leave. His little sister never made it home. I've loved Michael Koryta's last three books and hope this will be as good. What a wonderful set of books. I pounced on Life After Life as soon as it went into library stock, but Cornwall has a policy of putting books straight onto shelves and not rounding up reserved books until close of business. It would seem all of the copies went straight out, because I'm still waiting. 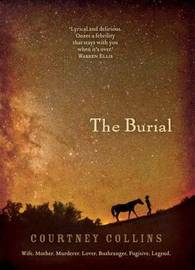 The Stella Prize shortlist looks great, and I'm also waiting for the UK publication of The Burial and a few others. I can only get to the library on Saturday now and I'm hoping a few reservations arrive between now and then. I'm rather pleased with this pile too. Problem is where to start reading? I hope you have something nice waiting on Saturday and you don't have to wait too long for KA. You found some great books! Happy Reading! I love it when books show up sooner than you thought they would. I'm still waiting on some holds but I have plenty of old loot to keep me company. Enjoy your loot. I'm afraid my loot stack is getting a bit out of control - never mind, I know I'll enjoy most of these. I have no willpower is the problem. :-) Really looking forward to Life After Life. Love your loot! I want to read The prophet, that sounds really intriguing. I enjoyed MK's last three books very much but this one has proved a real disappointment - a DNF.